Business Sweden’s purpose is to help Swedish companies grow global sales and international companies invest and expand in Sweden. Business Sweden is a global consultancy organization with approximately 500 colleagues working in 46 countries. We all share the same passion – creating maximum value for Sweden. Through our consultancy services we offer our customers strategic advice and hands-on support in their international growth and establishment. Business Sweden is owned by the Swedish Government and the industry, a partnership that provides access to contacts and networks at all levels. 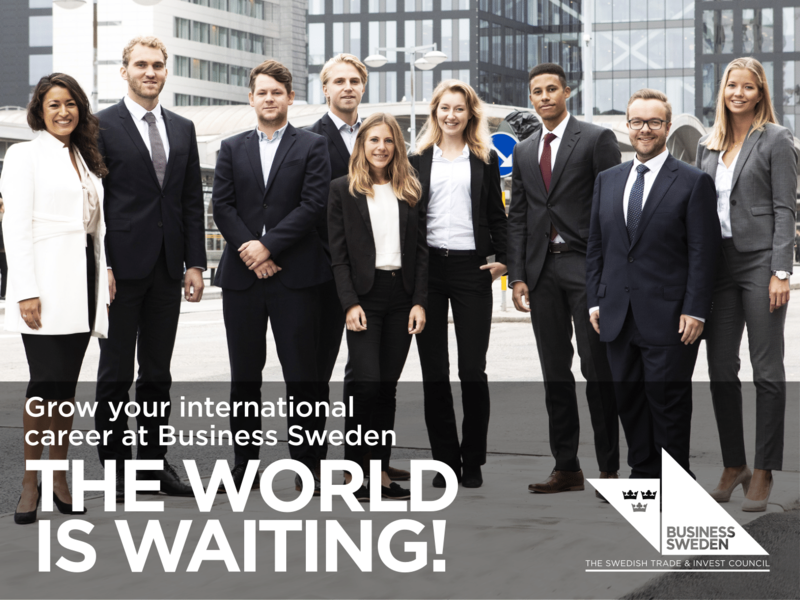 Talent Accelerator – Business Sweden’s global trainee program – offers an unique opportunity to attain business development consulting skills in the area of trade and invest, in a truly international setting. Through real project work, training sessions, collaboration assignments, top management exposure and interaction, we will challenge and train you to grow you into our future leaders!